Ellicott Dredges is a dredge manufacturer that designs and builds a variety of small and medium-sized portable cutterhead suction dredges. 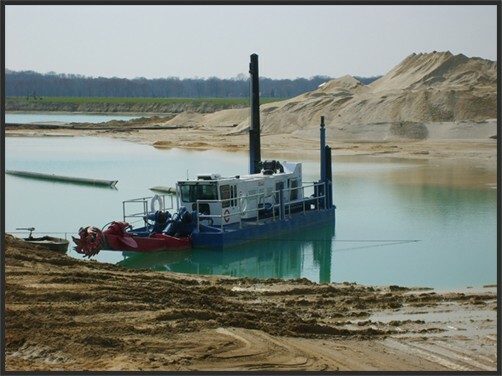 Ellicott’s series of dredges are capable of dredging compacted soil types and materials, such as sand, gravel, silt, and clay. 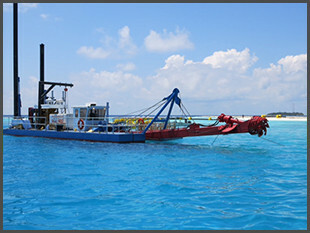 Our portable cutterhead dredges are built-to-last, easy-to-operate, and provide an endless rate of production. Ellicott’s Dragon® dredge series consists of portable cutterhead suction dredges that are ideal for several dredging applications, such as mining, environmental remediation, and coastal restoration projects. Ellicott’s portable cutterhead dredges are available in a variety of sizes and digging depths. These durable vessels possess heavy-duty designs that ensure longer product lifetime and higher return on investment. 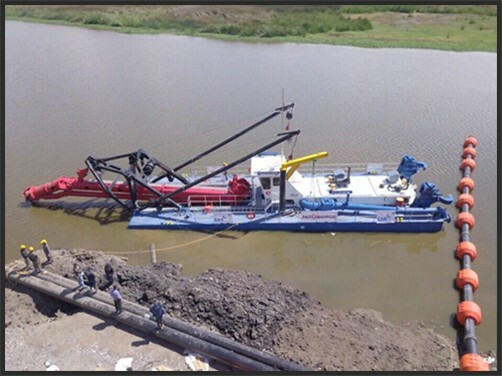 Each portable cutterhead suction dredge is designed for simple transport, assembly and easy maintenance. 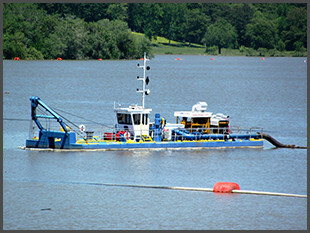 Examples of Ellicott’s Portable Cutterhead dredges include the Ellicott Series 370 Dragon® dredge, ideal for the first- time dredge operator. 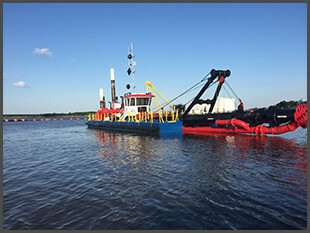 The Series 670 Dragon® Dredge perfect for marina and harbor dredging projects and offers full-length side tanks for stability and added deck space. 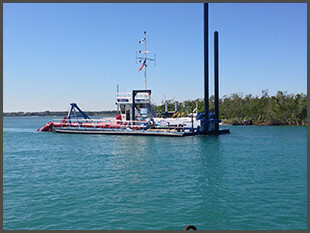 For those dredging contractors looking for a dredge that provides high production rates in deep digging applications without the complications of a Ladder Pump, and is considered the ideal dredge for mining and land reclamation projects, perhaps the Ellicott Series 870JD Jet Dragon® Dredge would be a great fit for the seasoned dredging professional. All of our portable cutterhead suction dredges are made in our manufacturing facilities in Baltimore, Maryland and New Richmond, Wisconsin.